Lindsay Lohan arrived at the Beverly Hills court house today in standard circus style to surrender to the court to start her 90 day jail sentence. This is no ordinary citizen surrendering to a judicial court, this is Lindsay Lohan – the famed actress who just can’t seem to shake her rebellious attitude and drunk driving. 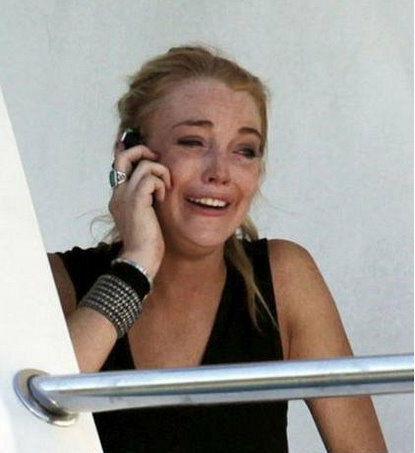 But after exhausting all of her patience, the judge in Beverly Hills dropped a 90 day jail sentence on Lohan. And Lindsay’s reception of that sentence wasn’t pretty (watch the video). Lindsay is heading right back to the Century Regional Detention Facility in Lynwood, Calif., where she previously served 84 minutes in 2007. Yeah, that’s right… 84 minutes. This time we might expect a little bit more time behind bars, but not much. Some experts are predicting that Lohan might spend anywhere from 2 weeks to 30 days at the facility. She will obviously be removed from general population for both her safety, and the safety of the staff. The cells at the facility are 8 x 12 feet and under normal circumstances, the inmates spend approximately 22 hours a day in their cell. Let’s start the timer and see exactly how long Lindsay Lohan spends behind bars.